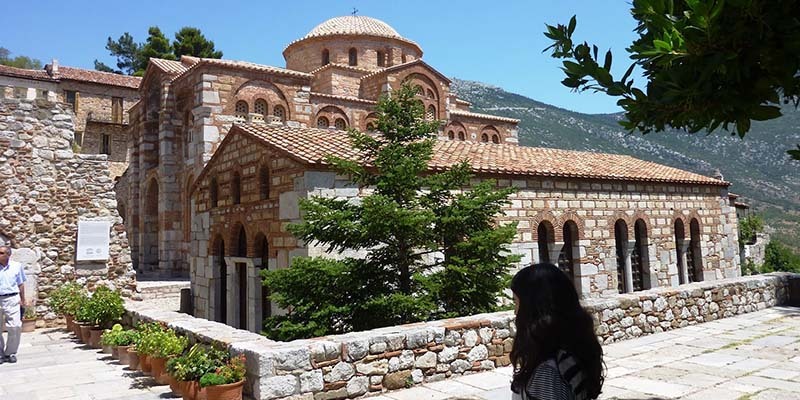 The monastery of Saint Luke enjoys a scenic hillside Helicon in a location where once stood a Temple of Demeter Steiritidas surrounded by plateau which covered by olive grove. The landscape has not been altered from residential or other activities and retains its authenticity. Information about the history of the monastery drawn from the life of Saint Luke, from an anonymous work of 962, and the sequences of the Assumption and the translation relics of, sources deemed reliable by archaeologists. According to these figures, the founder of the monastic life in the monastery is the same, who he lived there in the last seven years of his life (946-953). He was born in Kastri of Phocis in 896 parents refugees from Aegina. 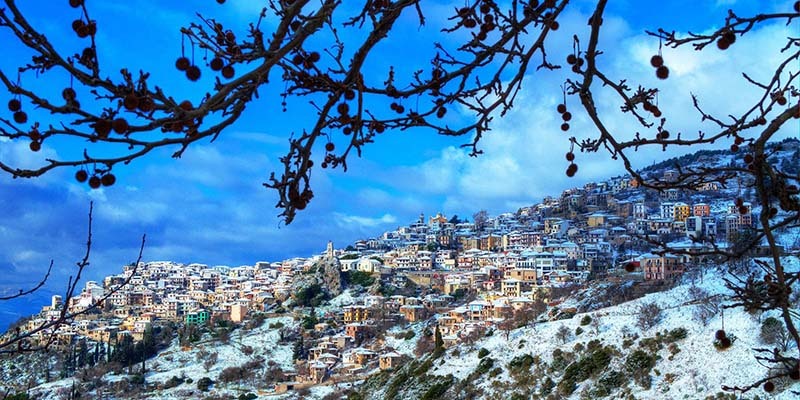 Our tour ends at Arachova which is situated at about 970 m elevation on the southern slope of Mount Parnassus, above the valley of the small river Plistos. 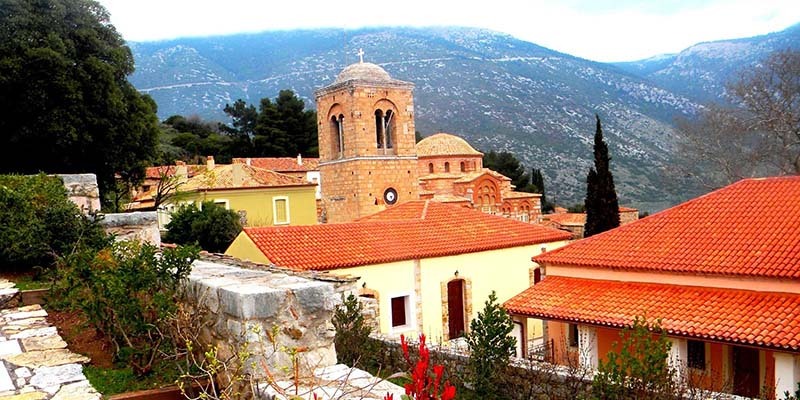 It is located 8 km E of Delphi and 26 km west of Livadia.